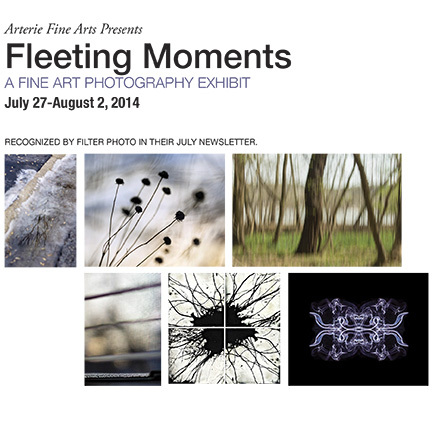 I am one of five female photographers that are in an exhibit at Arterie Fine Arts Galley in Naperville from July 27 until August 2. The Artist Reception is Sunday, July 27 from 3-6 pm. Come join us, enjoy our art, and talk with all five artists! Refreshments will be served. I will be exhibiting several of my images from Arborescence. Here is an online gallery of the Exhibit with examples of the other images as well. Thank You Hahnemule for supporting this Exhibit!